This is a daughterboard specifically designed for the DuetWifi and the DuetEthernet that allows two MAX31855 Thermocouple sensors to be attached. 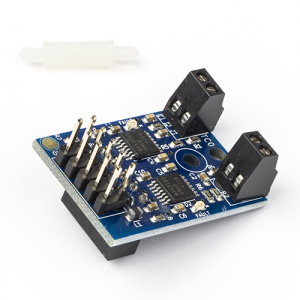 This is a daughterboard specifically designed for the DuetWifi and the DuetEthernet that allows two Type K Thermocouples to be attached. This board is based on the MAX31855 chip so only Type K thermocouples are supported. 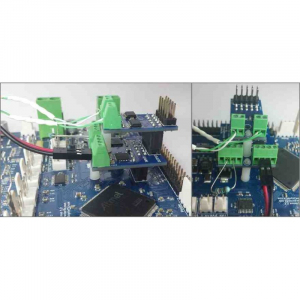 The DuetWifi and DuetEthernet support up to two daughterboards, with a further two on a Duex2 or Duex5 expansion board, with 4 daughter boards a total of 8 thrmocouples are supported. Thermocouple and PT100 daughterboards can be mixed and matched.